It was another busy Chinese New Year for the Troupe, with close to 80 performances scheduled in during this period. The troupe began their performances on the eve of Chinese New Year with of course the big performance at the Money Street Temple in welcoming the new Year. The troupe performed all over the CBD areas at restaurants, shops, houses, and special events. 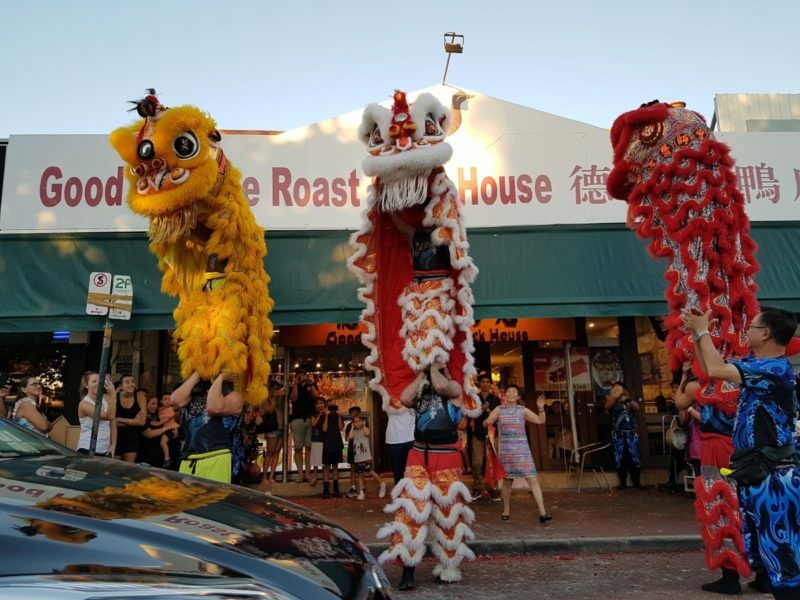 Performances at Good Fortune Roast House (both in Vic Park and Northbridge) were filmed by Linda Sunshine (in which can be found on youtube). The troupe also introduced their bench routine into this years Chinese New Year. Performances in which the bench routine were performed at were the Chinese New Year Fair, Gloucester Park, and the Lunar New Year Festival. 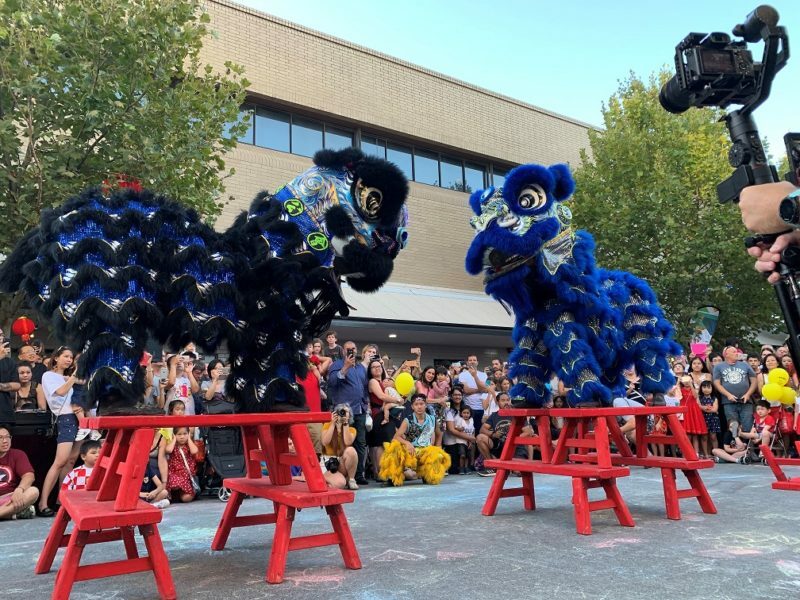 The Lunar New Year Festival bench routine featured double lions, in which performance was highly enjoyed by the large audience. Overall Chinese New Year was greatly enjoyed by both the troupe and as well (judging from the reactions) the general public. Even though it was an enduring tiring period for us, all of us in the troupe loved and enjoyed performing for everyone; but main thing that we enjoy is being able to spend that time with each other during this period. We would like to thank all those who cheered for us and fed our lions red packets during our performances. 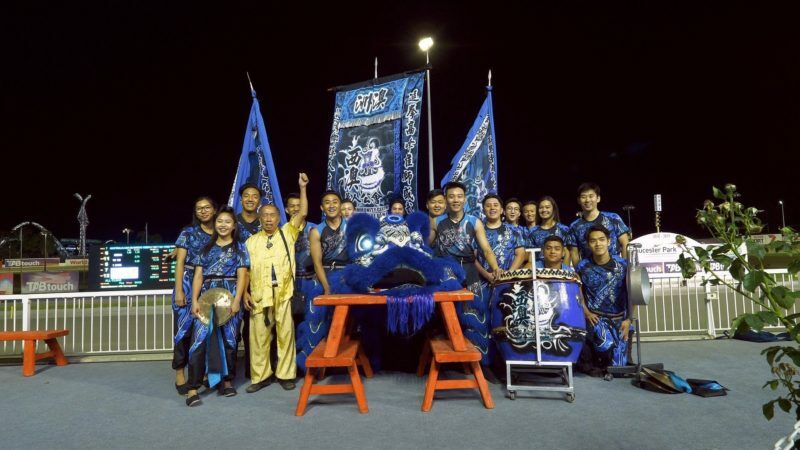 It is this reception that motivates us to keep pushing ourselves and perform the lion dance for all of you to enjoy, so thank you and most importantly, Happy New Year! 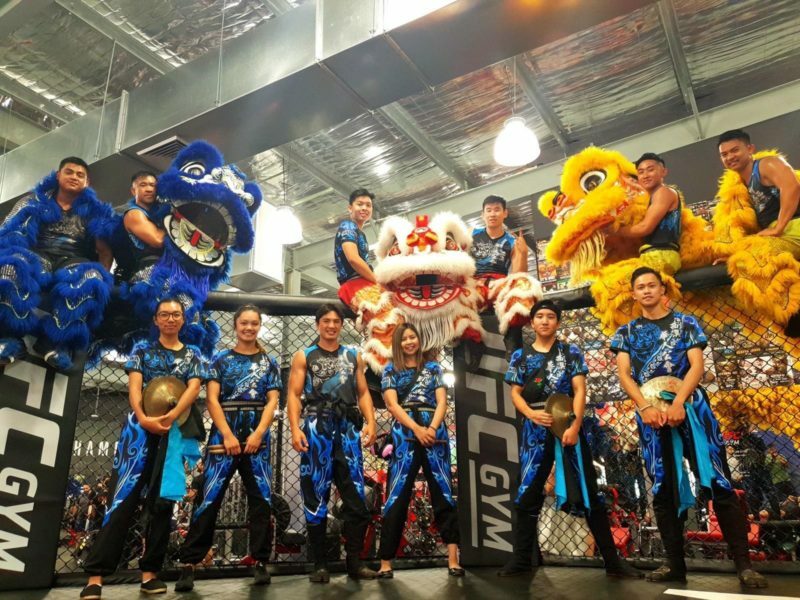 The Chinese Community Centre (CCC) Lion Dance troupe has been training hard preparing for the Chinese New Year period. 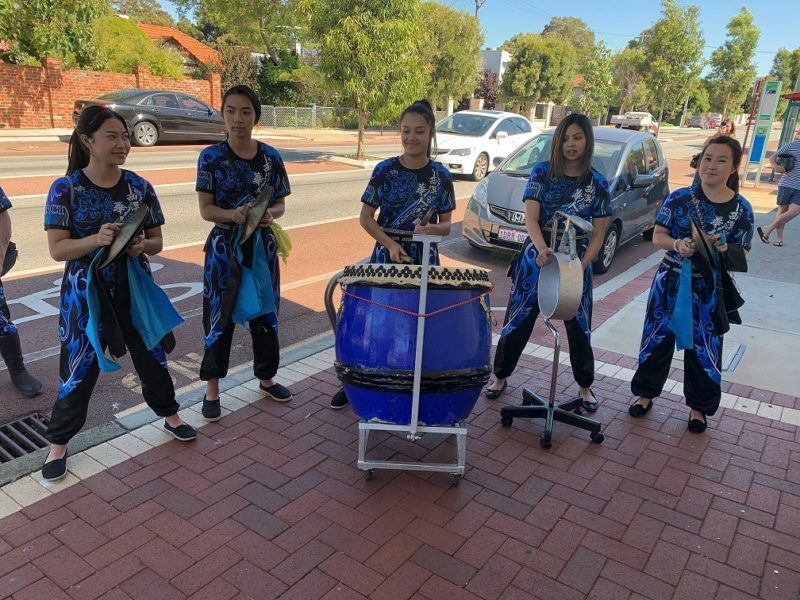 Great way to display our new learnt routines and skills was to perform them, and we had the great opportunity to perform at the grand opening of the Ingot Hotel, located in Belmont. The grand opening began with a speech and welcoming of the hotel investors, followed by the ribbon cutting. After the ribbon cutting, firecrackers were lite and the troupe began its performance. The lions ate the lettuce in which gave the luck to the owners. The lions then ate oranges from the owner and presented them back as a symbol of luck and fortune. The lions then roamed through the hotel grounds, blessing the areas of the hotel. 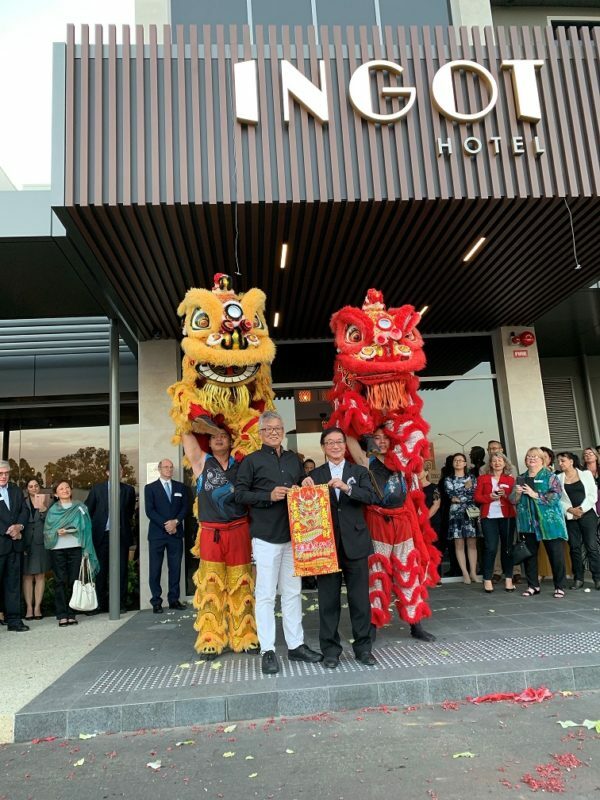 The CCC Lion Dance Troupe would like to congratulate the owners of the new hotel. We wish you the best in your new business venture!